STEM Ecosystems were identified in a December 2018 federal report as the top strategy for improving STEM literacy, ensuring a strong workforce and global competitiveness for all, and an important means to support diversity, equity, and inclusion in a thriving STEM workforce. Read the press release from the STEM Learning Ecosystem Community of Practice about this exciting development. Interested in joining the STEM Learning Ecosystems Community of Practice? Applications to join the STEM Learning Ecosystem Community of Practice are now open. Make sure to sign up below to receive our updates and visit our apply page for more information. When it comes to STEM learning, how can we help all young people reach their full potential? 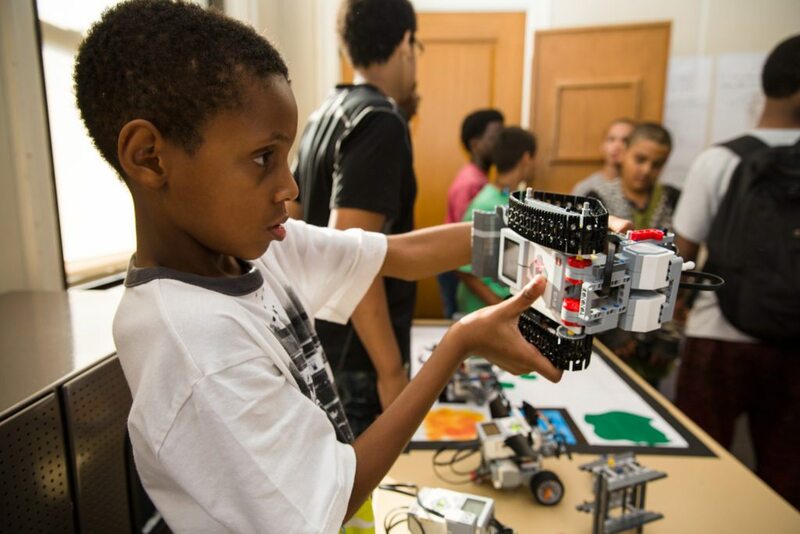 Cultivating STEM Learning Ecosystems means collaborating across sectors in new and creative ways to increase equity, quality and STEM learning outcomes for all. Every young person should have access to a rich ecosystem of connected learning opportunities, in and out-of-school. Rigorous, effective preK-16 instruction in science, technology, engineering and math (STEM) and learning beyond the classroom—in afterschool and summer programs, at home, in science centers, libraries and other places both virtual and physical—sparks young people’s engagement, develops their knowledge, strengthens their persistence and nurtures their sense of identity and belonging in the STEM disciplines. Yet socioeconomic, linguistic, racial/ethnic, gender and other barriers too often prevent young people from accessing learning opportunities across all these settings. What if communities tried a new strategy to ensure all young people reach their potential in STEM? Learn more about the 84 communities across the globe demonstrating strong cross-sector collaborations. For questions, please contact us at info@stemecosystems.org. Homepage photo courtesy BMore STEM.